Istanbul New Airport (INA) – planned as the world’s largest airport – is more than half way through construction and scheduled to open on 29 October 2018. Yusuf Akçayoğlu, Chief Executive Officer of İGA Airports Construction, shares some insight into the technical developments of its Airfield Ground Lighting installation that mark it out as the most intelligent to date. 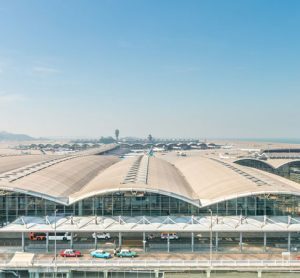 WHEN Istanbul New Airport (INA) opens 29 October 2018, it will be able to make two important boasts. Not only will it be the world’s largest airport built from scratch, but with more than 40,000 LEDs powering the airfield, INA will feature the biggest Airfield Ground Lighting (AGL) installation – and the most intelligent airfield – the world has seen to date. Pilots simply to ‘follow the greens’ to and from their designated gate. İGA, the joint venture group consortium of five Turkish companies that are constructing and will operate INA, chose a leading provider of solutions harmonising airport performance for the job: ADB SAFEGATE. 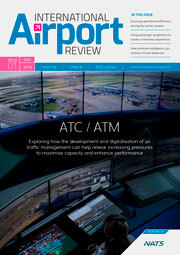 The company is responsible for the installation of intelligent airfield solutions including LED, AGL and visual aids. ADB SAFEGATE has more than 70 years of experience with installing fully integrated airfield lighting solutions and serves some 2,000 airports in more than 175 countries. 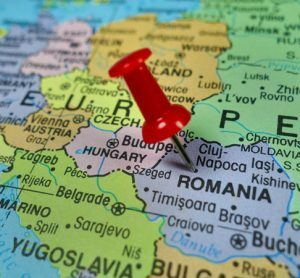 The contract was signed in September 2016 and deliveries began in 2017 and will continue into 2018. Innovation, efficiency and safety are imperative to ensure that the airport is congestion-free and traffic flows smoothly, even in adverse conditions. With ADB SAFEGATE having worked closely with us right from the design review to implementation stage, we are convinced that together we can deliver seamless and future-proof operations. Naturally, safety and operational efficiency is a key issue at any airfield. This is especially true in bad weather conditions or dense traffic. As much as 85 per cent of all accidents are caused by human mistakes, according to the Flight Safety Foundation. These can be avoided to a large extent through automated systems that integrate the airfield with the tower and gate. AGL for visual guidance is at the heart of airfield operations. ‘Intelligent’ lighting makes the visual guiding process easier and improves situational awareness by switching lights on and off according to information shared by airfield surveillance and aircraft tracking systems. This allows for optimised aircraft routing to and from gates, a more efficient traffic flow, and increased safety. At Istanbul New Airport, situated just 40km from Istanbul in the district of Arnavutköy on the Black Sea coast, ADB SAFEGATE is responsible for the complete visual guidance approach. The system is integrated into solutions and services that harmonise airport performance, tackling every aspect of traffic handling and guidance, from approach, runway and taxiway lighting to tower based traffic control systems and intelligent gate and docking automation. The experts started their work with a comprehensive airfield lighting review to assess and implement AGL that would best suit the airport’s needs. They proposed equipping the taxiway system with switching ability and the addition of single and double channel ‘Individual Light Control and Monitoring System’ (ILCMS) devices. ILCMS makes ground movements safer and faster while providing real-time AGL status information to complement the verbal communication between tower and pilots. Thus, Air Traffic Control Officers can better guide incoming and outgoing flights. Also, with ILCMS every individual light on the airfield can be checked and quick maintenance carried out if necessary. The state-of-the-art intelligent lighting will allow increased flexibility in guidance and routing by optimising capacity and throughput. These are not the only advantages: Intelligent LED lights ensure safe operations in low visibility conditions, help save energy and bring down the cost of maintenance. Compared to halogen they use 85 per cent less energy. Another advantage is that just a very small team of five to six people is responsible for the maintenance. 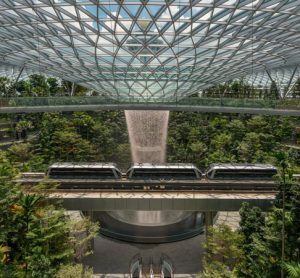 For INA – striving to be an accessible and environmentally-friendly ‘green airport’ – another attractive factor is that not only does the system save energy, but it helps reduce CO2 emissions by means of a more efficient and flexible flow of aircraft. According to expert calculations, taxi time will decrease by 30 per cent, which in turn decreases CO2 emissions accordingly. The whole project covers the installation of a new AGL system for the complete first development stage of the airfield including runways A, B and C, auxiliary runways parallel to main runways, all taxiways associated with these runways, as well as the aprons surrounding the terminal area. It also includes an ‘Advanced-Surface Movement Guidance and Control System’ (A-SMGCS), a combination of systems that provides services and aids to aircraft and vehicles in order to maintain airport throughput under all local weather conditions, whilst maintaining the required level of safety. A-SMGCS supports surface movements in order to improve punctuality, reliability and efficiency. The AGL system will allow for operations down to a Runway Visual Range of no less than 50 metres. The airfield will be powered with more than 40,000 intelligent lights – the world’s largest AGL implementation. ADB SAFEGATE will also supply and commission all visual aids including transistor regulators, transformers, intelligent lights, approach solutions, energy efficient power solutions and mounting equipment. 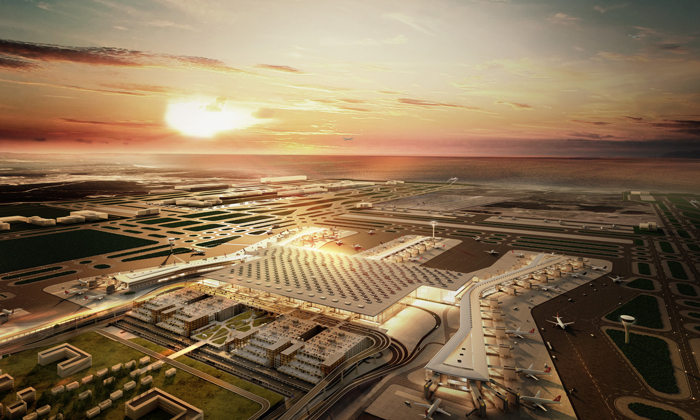 Istanbul New Airport will replace the city’s existing international airport, the Atatürk Airport. With construction costs of €10. 2 billion INA is the largest ever infrastructure project in the history of Turkey and will be one of the leading aviation hubs in the world. The construction will be carried out in four phases; the first of which will be finalised in 2018 with the opening of three runways and a main terminal with a 90 million passenger capacity. Once complete, the new airport will have three terminals, six runways and an annual passenger capacity up to 200 million. As a hub between Europe and Asia, INA will serve more than 350 international destinations and host around 100 airlines. Approximately 31,000 people currently work on the construction site of Istanbul New Airport. Once operational, İGA expects to have 100,000 direct employees and a total of 1. 5 million including indirect employees. YUSUF AKÇAYOĞLU graduated in Civil Engineering from the Faculty of the Istanbul Technical University in 1992 and holds an MBA from California State University. He was involved in civil/infrastructure and mixed-use development projects in the Russian Federation for six years and returned to Turkey for the New Runway, Apron and Taxiways Project of Istanbul Atatürk Airport. Yusuf also worked for TAV, where he managed and led many development projects, including New Doha International Airport and Muscat International Airport. 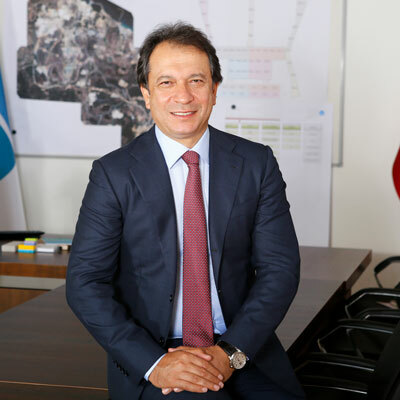 He has been CEO of İGA Airports Construction since joining the company in 2014.